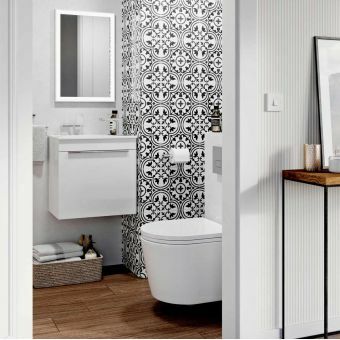 By utilising geometric forms and refined contours, Crosswater has been able to create a family-sized bathroom package that has exceptional style and outstanding performance. 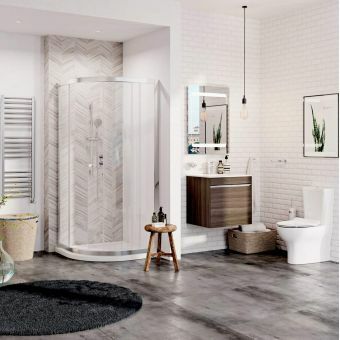 The Premium bundle contains everything you could want in a modern bathroom with the collection being skilfully built by designers and professionals in Crosswater's top design team. At the leading edge is the Driftwood inspired furniture cabinet. The faultless functionality and reliability of the Glide driftwood basin unit have been put together with the utmost care. 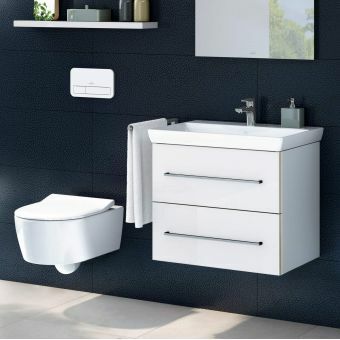 The two soft closing drawers have a handleless design that creates a totally flush appearance and with the slim-edged white cast mineral basin sitting on top, the overall look is one of serenity and calm. The whole set is finished off with a luxurious MPRO basin mixer tap that is paired with a matching chrome click-clack waste. 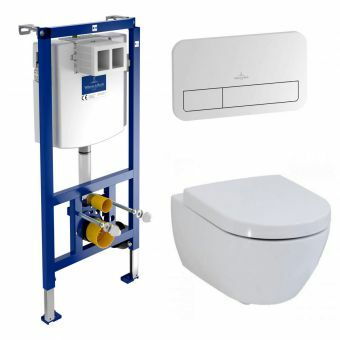 The Wild collection of ceramic pieces is spearheaded by the Wild wall hung toilet that comes with the latest slim designed soft closing toilet seat. 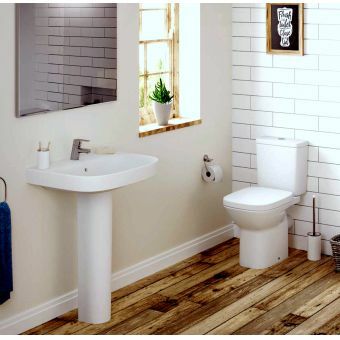 This sturdy yet elegant piece, made to the most exacting standards, is paired with a matching driftwood WC unit that skilfully encloses a 0.82m tall cistern hidden inside. 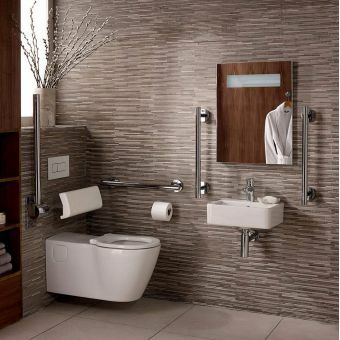 Flushing is a real pleasure thanks to the Pier rectangular dual flush plate set off with a high lustre chrome finish. 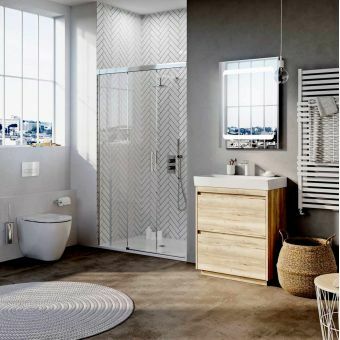 A spacious and low profile shower system has been created around the Pier sliding shower door enclosure with a generous size of 1200 x 800mm. The slim 25mm tray features a stainless steel central waste cast in a square form for fast and efficient drainage. The Pier enclosure is created two vertical glass panels supported by a minimalist polished frame. The clear glass fittings have been treated to provide the best protection against dirt and limescale keeping cleaning down to a minimum. The Dial push button shower valve features Crosswater's latest technology to control flow and temperature and with the choice of an overhead drench or a wall mounted handset, your morning shower will only be pleasurable. Accessories are included from the prestigious MPRO collection and provide a contrast to the Svelte metallic black towel warmer which has been fitted with chrome round valves to keep a tight rein on bathroom temperature. 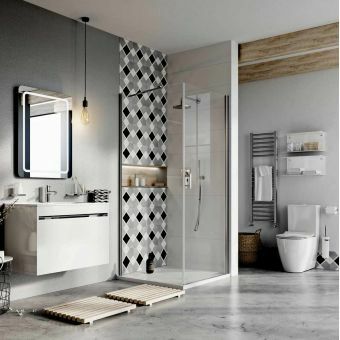 Extra storage has been provided through the Allure illuminated bathroom cabinet and at 500 x 700mm, it has a place for all of your make-up and toiletries. 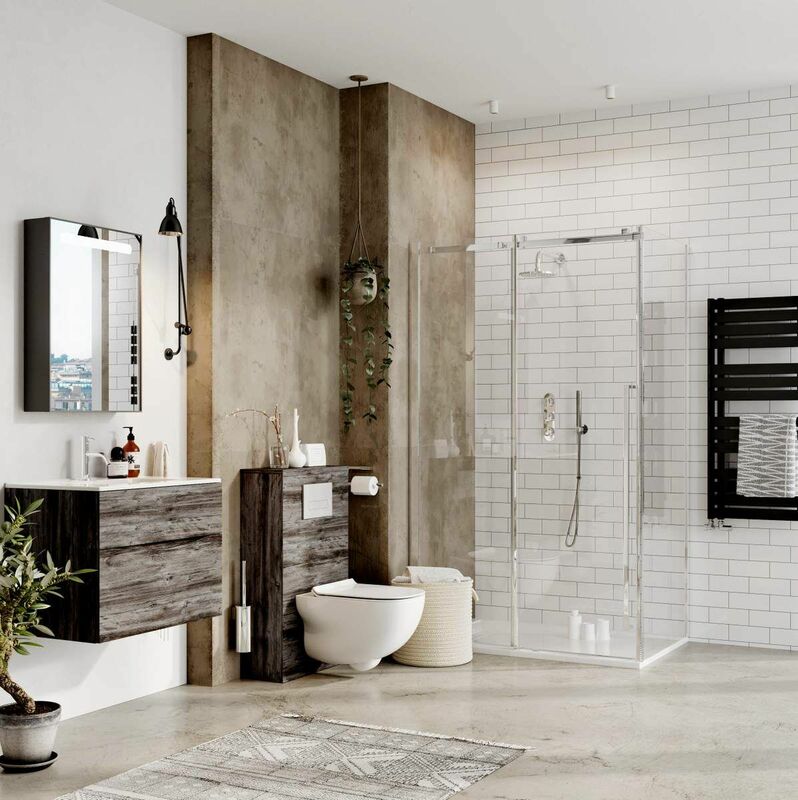 The Premium Family Bathroom Package is elegant and classy and will update your bathroom with its stunning mix of sumptuous design and innovative components.